We have events going on all month to raise money for our partner in the fight— The Breast Cancer Research Foundation. Let’s make a difference together. Saturday October 1st we are kicking it off Anazao style with food & fun! 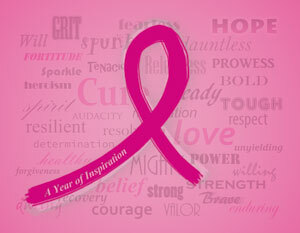 Our goal is funding for breast cancer research & awareness. Come join us in the fight. You don’t want to miss it! Silent auction baskets stuffed with great things from Aveda. “Pinked up Kicks” Raffle | Buy tickets & vote for your favorite “Pinked up Kicks” and be entered to win a haircut, blowdry, style with the stylist of your choice. Over a $75 dollar value. Facebook Check-Ins | Check in while you’re in the salon all month long – We’ll donate a $1 to the cause! We’ll also be accepting donations all month long to help The Breast Cancer Research Foundation in all they do everyday to helping find a cure. Come get involved!